It also held National events in 2004 where it entertained the BRCA Juniors and full National events in 2005 and ’06. After ’06, the club then went through a transitional period, where it moved to its current location on the boarder of Shropshire and Staffordshire in 2012. The Club and Track TORCH. Titchfield Off Road Club Hampshire has been established since 1979. The club formally had a much smaller venue in Titchfield and really only catered for Sunday club racing. The late Ron Winter were strong followers of the club. You may recognise the initials RW as in RW Racing, world famous for pinions and spur gears and still going very strong in the RC industry. Committee members like Julian Mallard that have been on the TORCH personnel list for decades make this club solid as they come. Just on a personal note that certainly not many would know, Titchfield club in its original venue was the first club I visited to race back in 1981. How things have moved on since then As many of you know, Stephen Brown is the chairman of the club and as a top level racer himself, he wanted to build the club up to be one of the best in the UK. Speaking to him personally he strives to hold prestigious events for the very best racers to compete at but at the same time building the club to have some of the best facilities for every level driver to also enjoy through the seasons. The club moved to the current venue in the Botley area some years ago, where they have spent every penny and more to build and build to get to where they are now. Unquestionably now a National standard club that presents us with a track that the racers just seem to love. They introduced a large jump at last year’s National event and this year they added a double jump and a smaller kicker type jump too. The other features like the table top moved to another area of the track as did the large jump and they laid out a totally new track design to make the National weekend as neutral as possible. Mr Brown had his hoover out, hoovering the track and as barking mad as that sounds and is, the track looked totally immaculate. The new track layout was long and very fast and with the incorporated jump sections, certainly another different great test for the competitors. The drivers are ready; the organisers are ready; so let’s race! 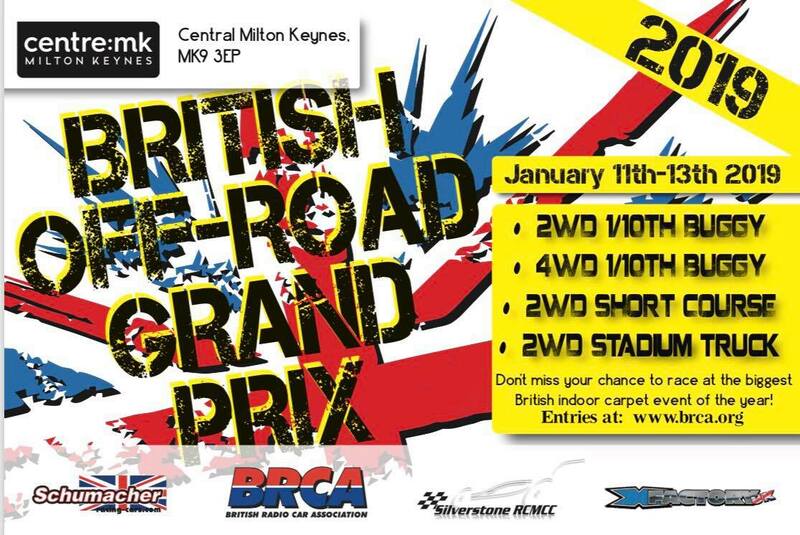 The long awaited European Championships in the UK at Robin Hood Raceway. 13 heats and drivers from so many European countries. The weather is superb. Shh!! Monday morning and everyone is real keen.